(1) Gary Lachman: A Secret history of consciousness, Great Barrington, MA, Lindisfarne Books, 2003, p.253. 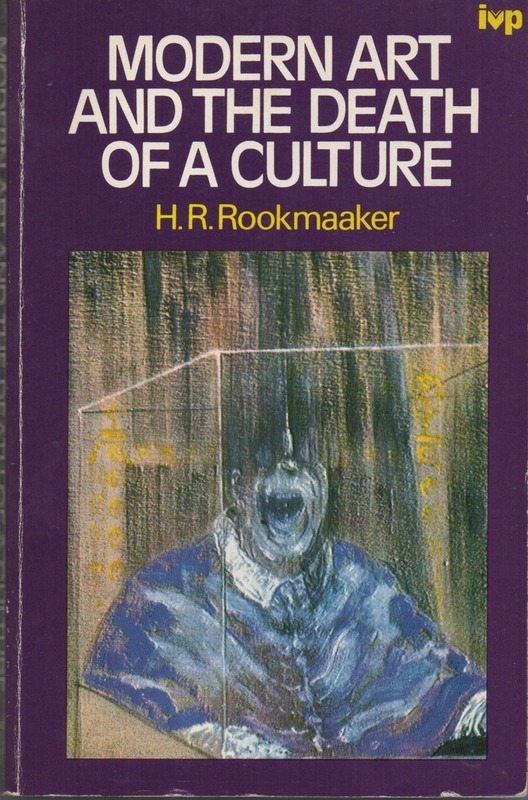 (2) H.R.Rookmaaker: Modern Art and the death of a culture, Leicester, Inter Varsity Press, 1970. (3) See e.g. Herman Dooyeweerd: Roots of Western Culture, Grand Rapids, Paideia Press, 2012 (first published in Holland, 1959). For Rookmaaker, 'Cubism', which, like Lachman, he identifies with the work of Picasso, was the moment when Picasso recognised the absurdity of the whole Humanist endeavour. As such, it was an event of world shattering importance. 'Amongst this group of young painters was Picasso. What influenced him, as well as the others, were, first, Iberian sculpture, blending Greek classical art with a more primitive search for the impersonal and general, and soon, too, African masks and sculptures. The fact that in their reaction against the superficial naturalism of the nineteenth century they "discovered" the truth and beauty of primitive art (which had previously been the concern only of ethnologists) betrays a deep spiritual similarity in aim and in the understanding of reality. Primitive man feels one with nature and its forces, and in his religion he uses his masks to lose himself and become one with the spirit (often an animal one) of the tribe. For modern man, even if in a less mythical way, nature is the only true reality, and man is basically no more than biological/psychological. 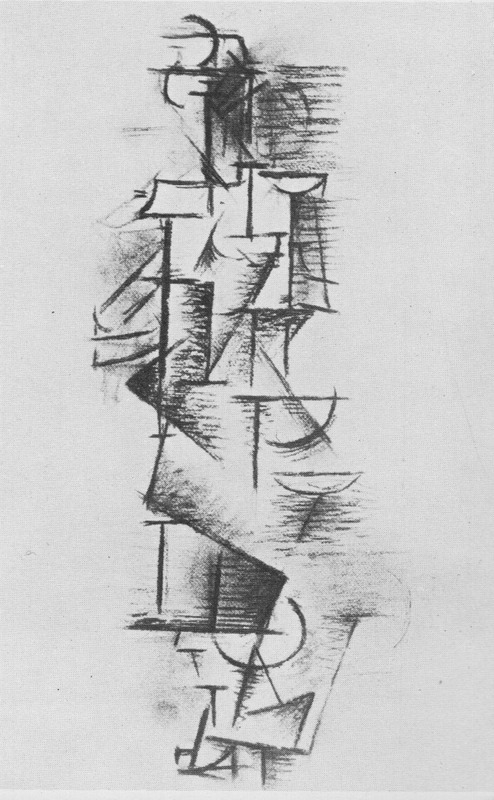 The aims of the cubists, their quest for a new expression, a new art, were in the final analysis the making of a new world-view, one that broke away from the age-old humanism of western society. The personal was lost, for there was no longer a personal God. Man, animals, plants, things, they are all basically the same. So there should be no basic difference in the way they are depicted. 'It is at this stage that Picasso must have realised that their quest had failed. They had searched for the universal, the general structure of things, that which is more than the strictly individual and specific - and in so doing had lost the personal, the human, the ‘real’. It was as if it had been shown to be impossible ever to reach the universal directly, without seeing the absolute through the specific. He who would know love must experience personal, specific love, or there is but a dim abstraction which is no love. Their quest to show what Plato might have called the idea, or Aristotle the form, had ended in beautiful pictures that yet presented no more than strange puzzles, enigmatic images in which the real content was virtually lost. 'When Picasso realised this, he had to take another step forward. Maybe he hesitated for some time - and this is why the development seemed to have come to a standstill [? - PB]. For the next step was to be a tremendous one. The consequences of it could not be foreseen. Slowly it must have entered into Picasso’s mind that the step was unavoidable, whatever the results. Only a man of his stature, his talents, his daring, his insight could ever have done it.